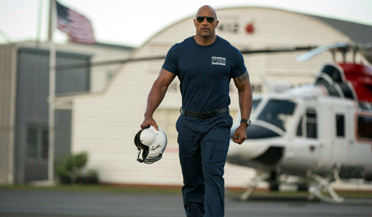 Kim Hollis: The disaster flick San Andreas opened this weekend with a better-than-expected $54.6 million. What do you think about the debut of this Dwayne Johnson film? Edwin Davies: This is an impressive start, and strikes me as a "two great tastes that taste great together" situation. People love The Rock and they love disaster movies, and combining the two seems to have reaped dividends this weekend. The spectacle promised by the trailer probably would have roped a decent number of people in regardless of who the star was, but I think that Johnson's charisma, coupled with the fact that he is a genius when it comes to using social media to promote his projects, and the afterglow of Furious 7's dominance, meant that he was the perfect choice to entice people into a movie that could have been blandly generic. It also helped that, unlike Tomorrowland, the ads for San Andreas laid out the story in incredibly simple terms. They showed that a whole lot of destruction was going to happen, but also sold it as a story about a family trying to survive in extraordinary circumstances. The same tactic worked for The Day After Tomorrow and 2012, and it worked again this weekend.